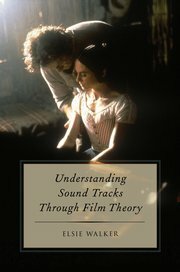 Book review: Elsie Walker, Understanding Sound Tracks Through Film Theory (Oxford: Oxford University Press, 2015). 435pp. This is a fabulous feat of film scholarship, both for the range of material it encompasses and the lucidity with which it handles complex ideas. The book is aimed primarily at undergraduate and postgraduate students of film; and, as a concise scholarly introduction to the thorny theoretical topics of Genre, Postcolonialism, Feminism, Psychoanalysis and Queer theory, it could hardly be bettered. The theory is then applied to a variety of film soundtracks, and familiar films are paired with less mainstream examples for purposes of analysis, comparison and contrast. In the process dazzling insights are offered into acknowledged classics such as The Searchers (1956) and Rebecca (1940) as well as less well known films such as Dead Man (1995) and Ten Canoes (2006). One of the most revelatory sections is devoted to Martin Scorsese’s Shutter Island (2010), where, through a closely argued commentary on the way in which the soundtrack reflects the hero’s difficulty in pulling things together, the chapter offers a convincing critical rehabilitation of a film that was widely derided and misunderstood on first release. A coda combines all these theoretical approaches in a brilliant reading of Alfonso Cuaron’s Gravity (2013), which makes the film sound a lot more interesting to hear than I found it to watch.